Add salt and pepper to the Fresh Duck Foie Gras scallops and then, slightly fry it in a very hot pan. Then deposit them on a paper towel in order to remove the fat excess. Place the sobao and violet jam. 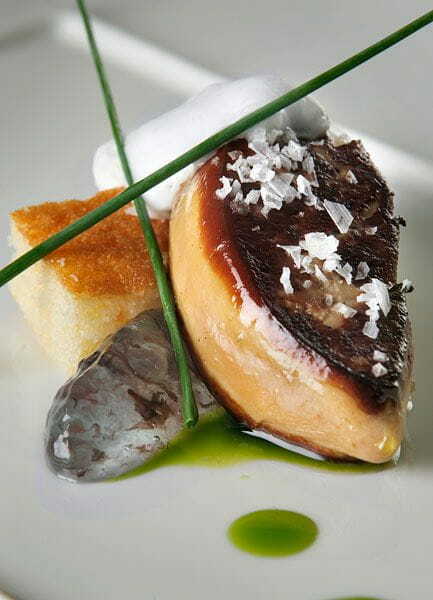 Second, place the scallop of Duck Foie Gras on top so it contrasts with the rest. At one end of the scallop, add a tablespoon of coconut cream. If desired, you can decorate with Maldon salt flakes and aromatic herbs, such as chives.